Gabriel’s work spans fine art to design and technology in the mediums of installation, architecture, industrial design, and audio/visual programming. His pursuits insight the exploration of life, music and sound, structure, and systems in the natural world. His projects have been shown in internationally at conferences and exhibitions including New York MoMA, SIGGRAPH, Japan Media Arts Festival, Barcelona Festival Sonar, Interferenze Italia, and numerous publications. He is a San Francisco native, and holds a B.A. in Design | Media Arts from UCLA. 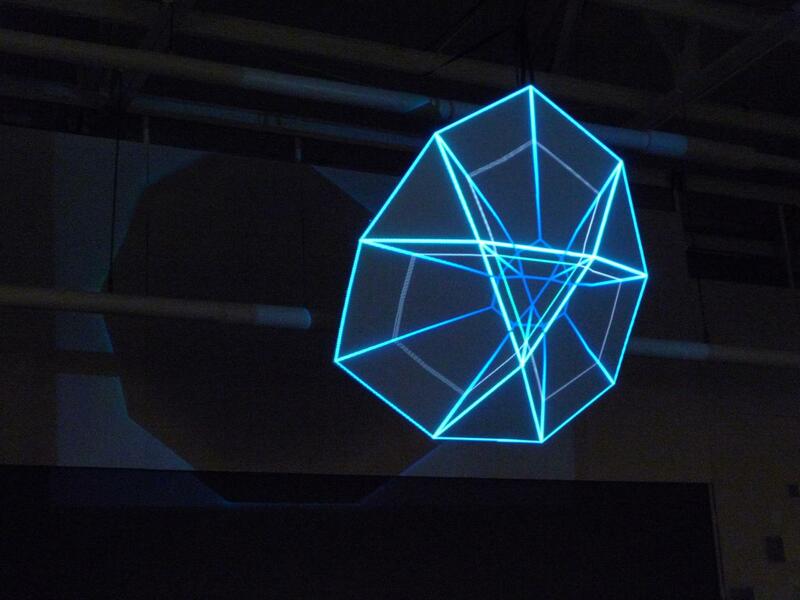 Gabriel will be projection-mapping audio-reactive visuals onto a wall-sculpture. Immerse yourself into the Audio and Visual Senses explorations at the CODAME 2013 ART+TECH Festival (Nov 1-2) with Gabriel.